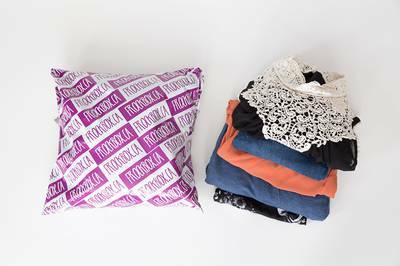 Enter your email address below to receive a notification when Frock Box starts accepting new sign-ups! Enter your email address below to receive a notification when Frock Box is accepting new sign-ups again. Affordable Personal Styling Delivered to You. Your stylist is customizing the perfect Frock Box for you and will ship within 10 days of sign up! 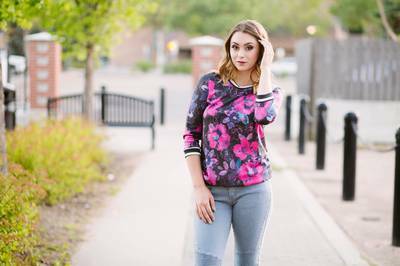 Canada's largest Monthly Womens Clothing Subscription. Receive hand picked clothing item(s) just for you based on your style profile. With three boxes to choose from in size Small - 3XL, we have something for everyBODY. Shop in the comfort of your home. Outfits hand-picked and curated for you. Take the style survey, and chose your box and that’s it! We’ll take care of the rest. 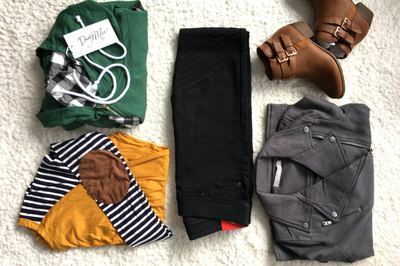 Try on clothing picked by your stylist at home, return what you don't like! I would consider myself a pretty seasoned veteran of subscription boxes. Before this I had been using Golden Tote for a couple of years, which is US based, and you pay inUSD, for shipping and customs also. Returns are Zoe size and difficult. Enter Golden Tote!! Love that it’s local, my order came fast and of 5 items I found 2 that I’m in love with. The best part- I returned the items I didn’t want for free with feedback, and had the payment processed right away for the items I kept. I was very comprehensive in my style profile, feedback and Pinterest board right down to cuts, colors and fabrics I like. Not going to do it every month but looking forward to my next one. Great customer service too! Please do not order anything from this company. The clothing is like something off of the cheapest site ever. Not good quality. No return label. Please don’t waste your time on them.